Tom Moon's Top 10 CDs of 2005 NPR reviewer Tom Moon shares his picks for the year's best CDs, from the lo-fi, indie folk of Iron and Wine to a newly discovered live recording by Thelonious Monk and John Coltrane. NPR reviewer Tom Moon shares his picks for the year's best CDs, from the lo-fi, indie folk of Iron and Wine to a newly discovered live recording by Thelonious Monk and John Coltrane. Moon writes for The Philadelphia Inquirer and is a regular contributor to NPR's All Things Considered. He's currently working on the book A Thousand Recordings to Hear Before You Die. You know those Bud Light commercials where an American Everydude learns to pour beer at the hands of a sadistic Eastern master? The basic message is that achieving mastery involves pain and torment. 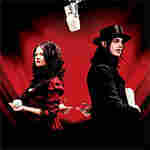 Thankfully there's plenty of music to counter that twisted notion, including this rowdy blast from the White Stripes. Having developed his own language over a series of remarkable (if more carefully plotted) records, Jack White is now in a zone where everything is easy – he pounds angelic chords on the piano while singing about the devil, and he sounds totally immersed whether he's waiting for the doorbell to ring or the chance to flip somebody off in snarly Detroit style. When this tape turned up earlier in the year, it was as though the Dead Sea Scrolls had been found on 57th street. It captures one of the most storied small groups in jazz history, an ensemble that existed for 8 months but was not properly documented on record. That's reason enough to check it, but it helps that the music is on a frightening level throughout. 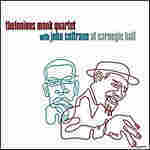 Among the smaller joys are several moments when Coltrane slides inside Monk's piano solos. He offers guide-tone lines that delineate the harmony, and in the process inspire Monk toward spirited, unexpectedly gregarious inventions. Hype usually trumps craft in commercial hiphop, and this year ran true to form. Kanye West found himself smothered in critic love for an album, Late Registration, that offered rich sample-mangling soundscapes and depressingly familiar narratives about the daily ordeals of a hot producer type. Meanwhile, The Craft, the zingy third album from Sacremento California collective Blackalicious, barely registered. That's a shame: Not only were its positive sermons about personal responsibility and trust invigorating, they were carried by addictive refrains and imaginative beat-making (at unusual tempos) that was every bit as inventive as West's best. She starts in the middle. Sometimes there's a story, sometimes not. 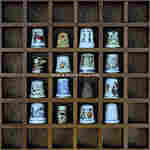 Sometimes the songs are just rushes of ideas, images, deep thoughts overheard at a bar. 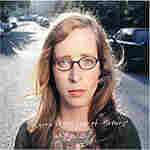 From these shards the Seattle singer-songwriter Laura Veirs cobbles together songs that have a pronounced (and sometimes eerie) openness to them. You have to parse the symbology that's rushing by, and because there are so many holes in the narratives, there are lots of different ways to "read" Veirs' thoughts. After years of hearing songwriters nail down every last plot twist and corresponding emotional twinge, it's refreshing, and maybe even magical, to have such options. Five minutes into most latter-day prog rock, and the big ideas driving the music seem to shrink, becoming routine platforms for show-offs. Not so with The Mars Volta's mindbendingly intricate second album Frances The Mute. This five-song cycle achieves its grandeur gradually, through detours into totally plausible son montuno rhythms, hiccuping King Crimson syncopations, the majestic melodies of Pink Floyd circa Wish You Were Here, or thrashy dissonant collisions rendered in horrifying slow motion. Zumpano leader A.C. Newman, whose solo The Slow Wonder was an underappreciated wonder of 2004, continues to write great pop songs across a nearly impossible range of styles. 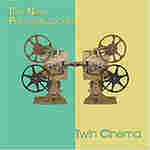 Just on this record, his occasional collective's third, there are blasts of kitschy new wave merriment that overshadow the recent Franz Ferdinand, and power-pop more disciplined than anything Death Cab for Cutie did this year, and time-stopping ballads built on the magical vocal blend of Newman and alt-country singer Neko Case. Moods range from mostly sunny to dungeon dark, and every song is contagious in a slightly different sneaky way. With this neatly interlaced seven song EP, Sam Beam (who goes by the nom de rock Iron and Wine) puts some serious distance between himself and the other doleful singer-songwriters toiling in Nick Drakes long shadow. The conceit is simple – these are songs about women, and the subtle power they weild – and yet Beam, obviously now comfortable in the studio, has embellished them in luminous ways. These tightly focused songs have natural pauses and cool instrumental expanses in them, moments when his ambling voice is offset by swooning violins or banjos. Though the last Iron full-length (2004's Our Endless Numbered Days) moved in this more elaborate direction, Woman King is all the way there, the first fully authoritative statement from someone who seems destined to be a major voice. Even taking points off for the excessive reverb and the garbled imagery, this series of dashboard-pounding escape anthems and swirling, half-mystical entreaties (to a woman? to a God?) is the rock record of the year, by a long mile. It's the one to give to your crabby friends who maintain that everything of consequence in rock and roll was done by 1981. 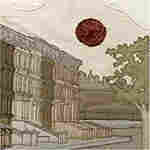 It was interesting to return to Bright Eyes months after the chorus of hosannas that accompanied the release of two albums in January had died down. Turns out Digital Ash, the "electronic" one, has just a few really smart songs, yet is marred by all sorts of hipster contrivance. Meanwhile Wide Awake seems somehow more direct, shot through with a distant twinge of Byrdsy meloncholy (as opposed to the blubbering hit-you-over-the-head emo variety) that is the best showcase for Conor Oberst's gawky voice. Though he still gets lots of "next Dylan" hyperbole, Oberst here largely eludes such facile (and unfair) comparisons: The ambivalence he catches in these sometimes breathless (and sometimes wordy) songs is completely his own. Whatever rush people get from great trance music is in this. Whatever hypnosis happens when musical phrases are repeated endlessly is in effect here, too. Of course these kinds of interlocked, cruise-forever grooves happen frequently in Africa. But they don't always get documented; more often the exports are earnest-troubadour types like Amadou and Miriam. Konono earned novelty points for their makeshift instruments and the distorted fuzz surrounding the thumb pianos, but it was this veteran band's rhythmic lock, and the little ways the pulses shifted and rolled through songs that stretched for ten enchanting minutes or more, that made this such a treasure.